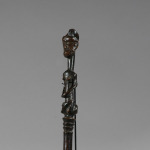 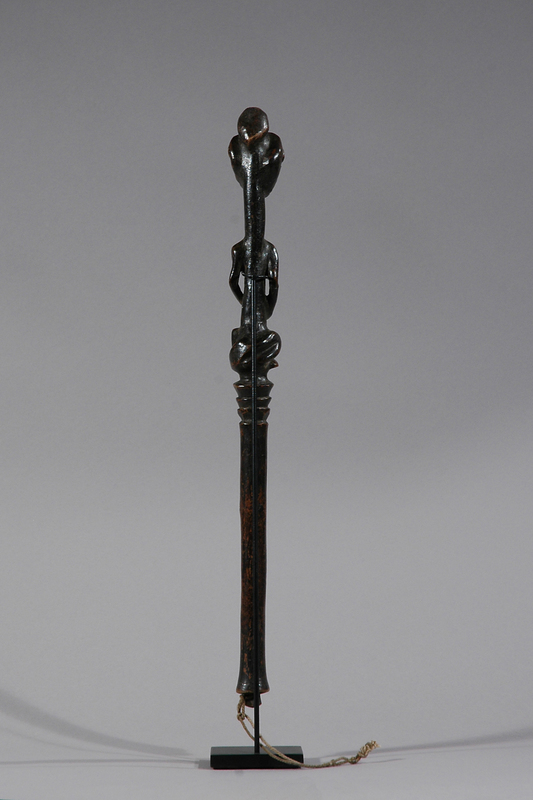 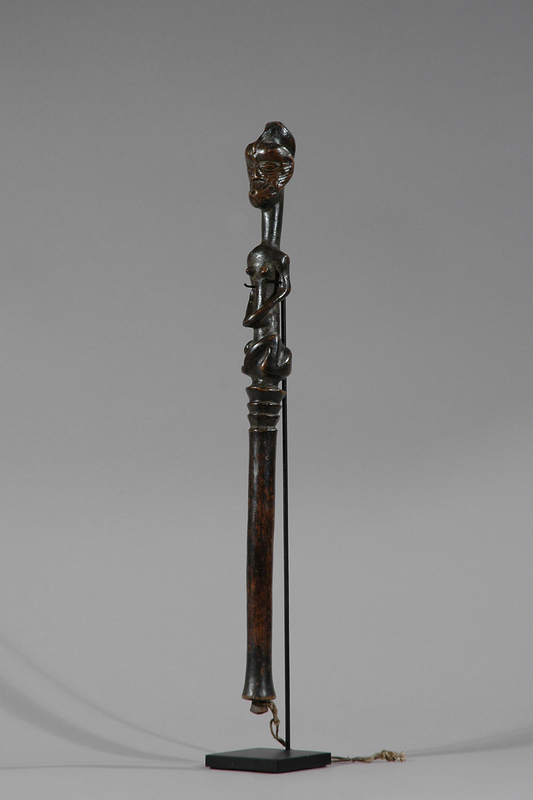 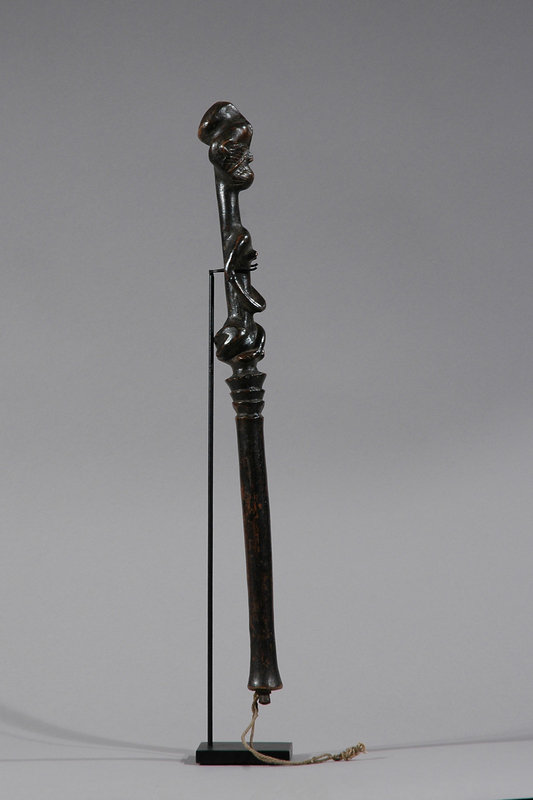 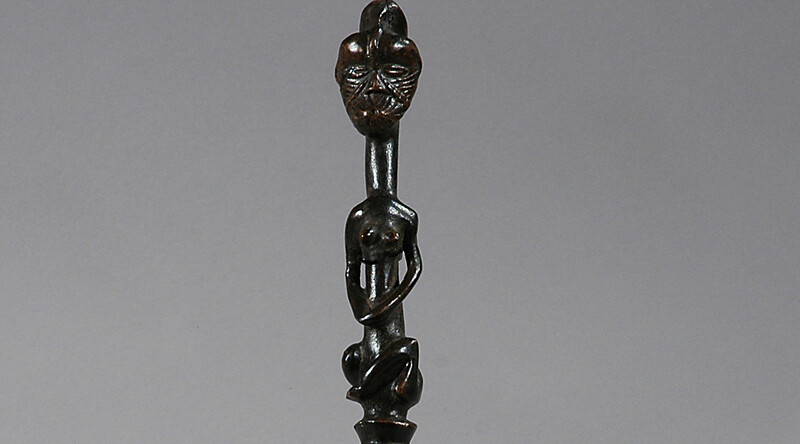 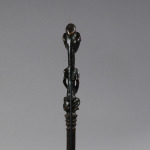 This Sapo-Sapo (Nsapo) Staff belongs to the Ngbandi. 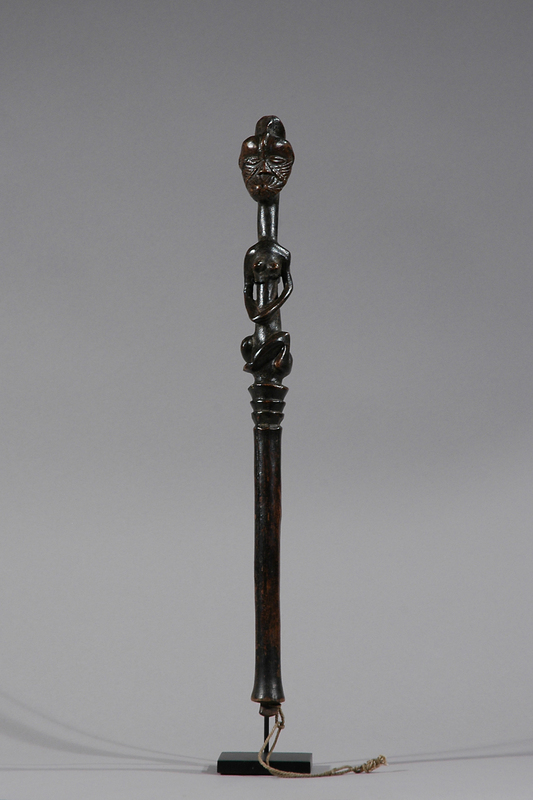 They rarely create anthropomorphic figures, but sometimes ones like this are used by magicians (wa kokoro) who neutralize witchcraft and by diviners (wa bendo) who try to determine the course of the future for their clients. 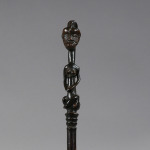 The triangular hairdo incisions and keloids on the nose bridge are classic Ngbandi motifs. 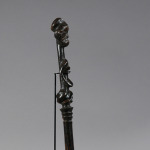 Provenance: From Gallerie Sunde in Copenhagen sold in the 1960th to a fine old Danish private collection.